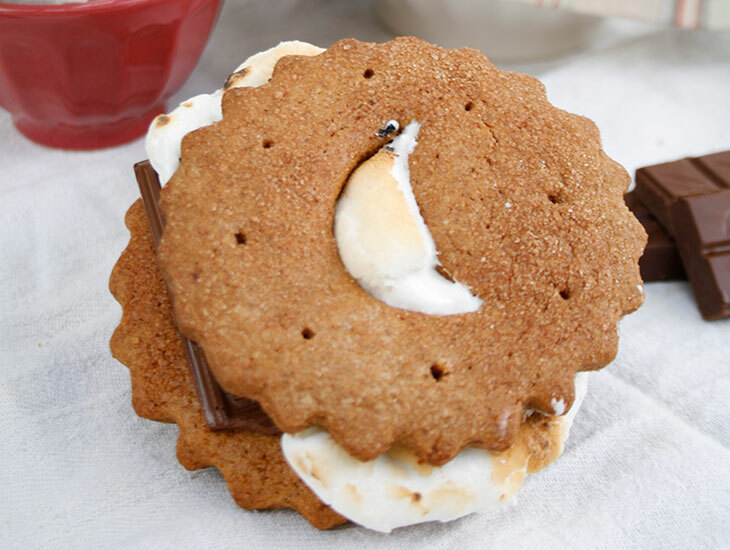 Who doesn't love the classic s'more? They are synonymous with summer nights and irresistibly delicious! Here at Ann Clark we have come up with a new spin on an old classic. Making homemade graham crackers cut into summer shapes such as stars cookie cutters, butterflies and sunflowers! We used the star shape and two different types of graham crackers, original and chocolate. When we made the s'mores, it was pouring rain and thundering outside, so we had to resort to a toaster oven which was Ben's contribution. He apparently has a wealth of experience in making s'mores under various conditions. We placed a graham cracker, square of chocolate and marshmallow on a baking sheet with parchment paper, and broiled until marshmallow was puffy and dark brown on top. They were amazing!! Everyone in the building loved them! One thing that we noticed with our crackers was that they were a little crumbly. 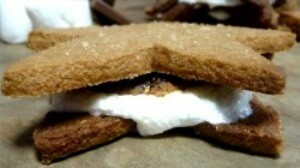 We blamed this on the humidity and the fact that they were much softer than a traditional graham cracker. This can be solved by rolling the dough out a little thinner or baking longer. We did both with the second batch of chocolate and found it worked very well. These graham crackers are also great on their own!